What is Causing My Dog's Anxiety? Do you have a dog whose tail is almost always tucked between their legs and they can’t seem to settle? Or maybe they always avoid eye contact when you try to look at them and they retreat to the other room or into a hiding place often? 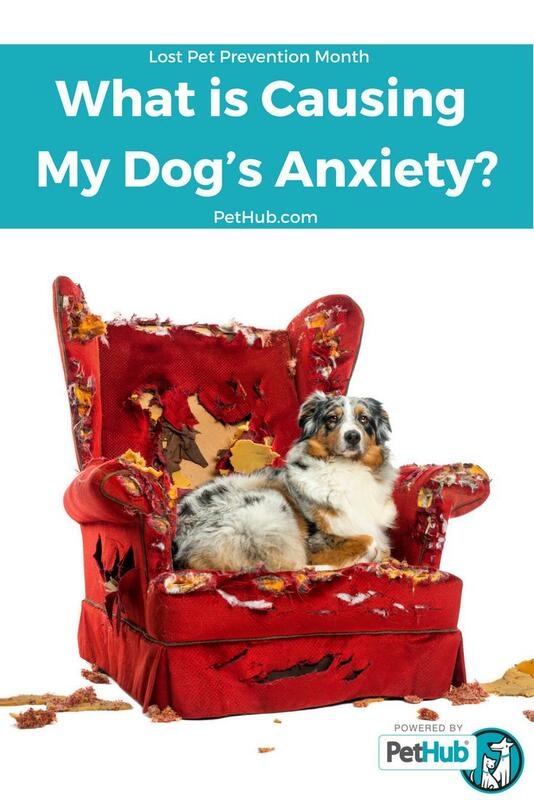 If so, your dog likely has an anxiety disorder. A dog may exhibit one or more of these behaviors periodically. It’s normal when they are in an uncomfortable situation. However, it becomes a problem when your dog exhibits many of these symptoms at the same time, any one of these symptoms to the extreme, or is in a constant state of anxiety. What Causes an Anxious Dog? Dogs can become nervous or anxious for many reasons. Sometimes it’s obvious what is causing your dog’s reaction, but sometimes it’s not. In that case, you can often detect what is triggering their abnormal behavior through trial and error or by paying keen attention to when their body language is indicating that they are nervous. Dogs can become anxious for different reasons. Three specific types of anxiety are separation anxiety, former rescue (or shelter) dog anxiety, and illness-induced anxiety. A dog can also have general anxiety. Is your dog calm most of the time but kind of freaks out when left alone or without a primary caregiver? A dog with separation anxiety may become destructive of furniture, bark, whine or howl excessively, or potty in the house when left alone. This behavior can occur whether you’re gone an hour or only 5 minutes. Separation anxiety is pretty common. Very few dogs actually LIKE being left alone -- they are social animals by nature. Anxiety in this case is most often caused by boredom and loneliness, perhaps associated with a previous negative experience while left alone. It can also be what is known as old-age-onset separation anxiety, which can be caused by a decline in cognitive understanding, or memory, in elderly dogs. 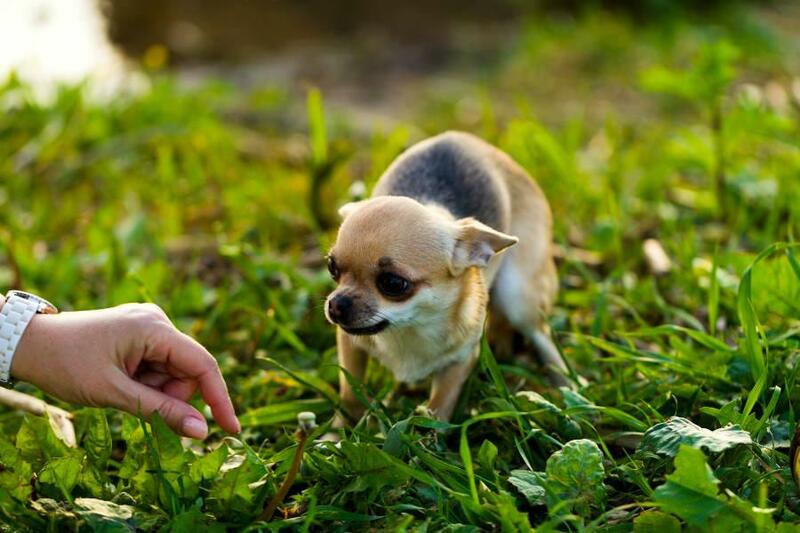 To help a dog with separation anxiety, take them for a walk before you leave, give them a stuffed treat toy to keep them busy, don’t make a big deal about coming and going, or try using one of these natural ways to help a dog with anxiety. Pets that have spent a period of time in a shelter often have memories of being abandoned and left there. They may also have experienced a traumatic event before they were taken into the shelter or while they were there. These dogs may just be generally anxious because they dealt with an unpredictable routine or environment. Their general anxiety can also turn into separation anxiety because they fear they are being abandoned again. Developing a consistent, predictable routine and environment is the best way to help these dogs feel safe at home. A behaviorist or trainer can also help pinpoint their trigger and recommend ways to help them calm down. Anxiety and fear reactions in dogs can be caused by illness or disease. This type of anxiety usually comes on suddenly in a dog that was not normally anxious. If your dog exhibits a sudden or extreme behavior change, take them to the vet so they can rule out any underlying medical conditions. If they are otherwise healthy, they may be anxious for one of the other reasons listed in this article. Unfortunately, a cause for anxiety can’t always be determined. It might be that the primary event that caused the onset of anxiety happened in the past and went unnoticed or occured before your pet became a member of your family. It’s also possible that your dog is just prone to anxiety and they get upset anytime there is a change to their routine or environment. Generalized anxiety is very common and often goes unrecognized. Sometimes that is because the symptoms are subtle and don’t seem abnormal. Sometimes what is actually general anxiety is shrugged off as a common characteristic of a breed when, in fact, is not necessarily a “normal behavior”. Developing a consistent schedule, controlling social interaction, and creating a predictable environment with low stimuli is the best way to help a dog who is generally anxious.